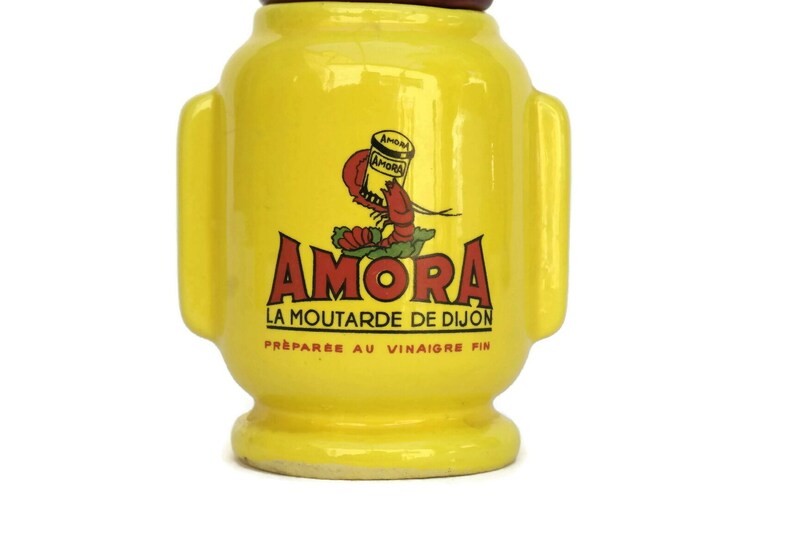 A very collectible vintage French Dijon mustard pot from the famous French brand Amora. 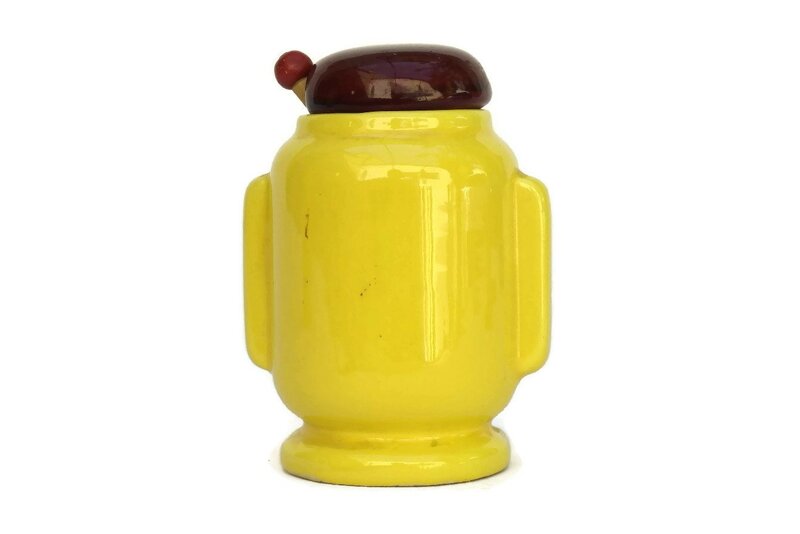 It dates from the Mid Century and was manufactured in the Vallauris ceramic studios. 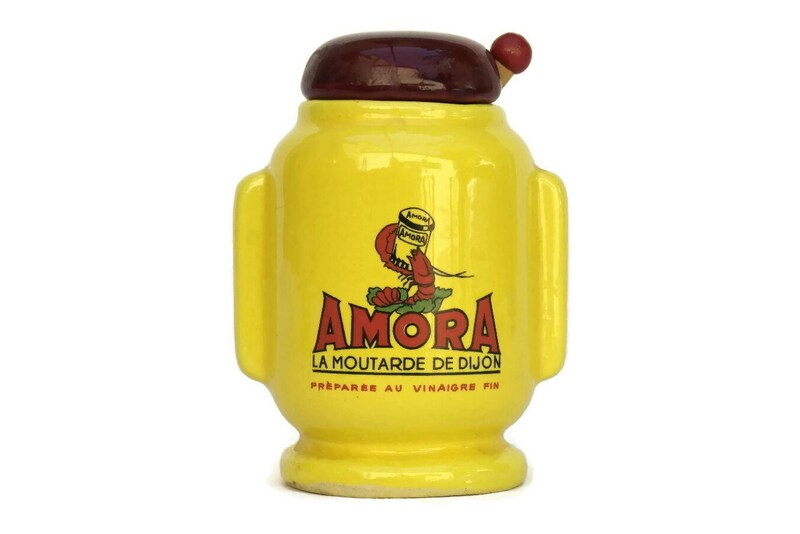 The jar has been glazed in a vibrant shade of yellow and features advertising for the French Amora brand of Dijon mustard. 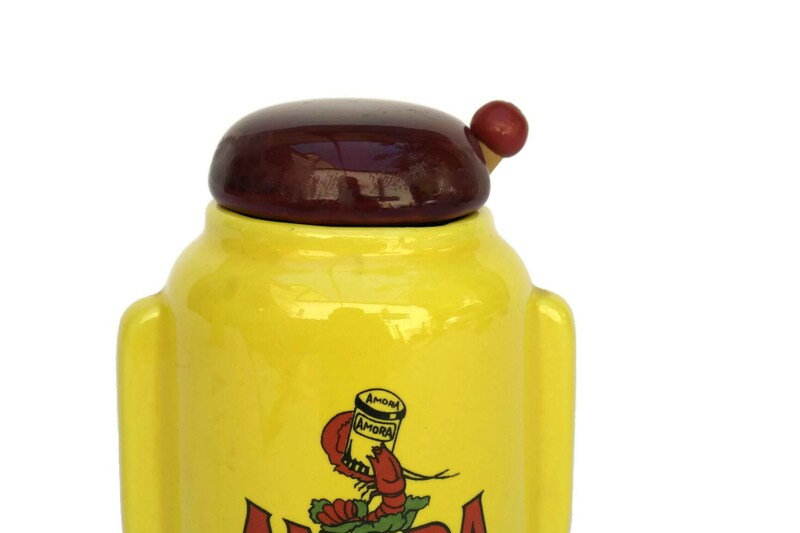 The mustard jar has a removable ceramic lid with an opening for the handle of the wooden spoon. 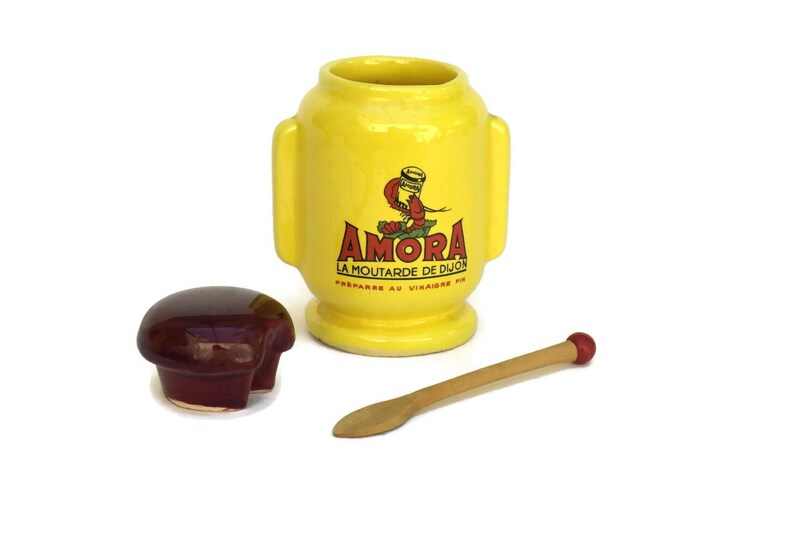 The Amora brand name is featured on the front. 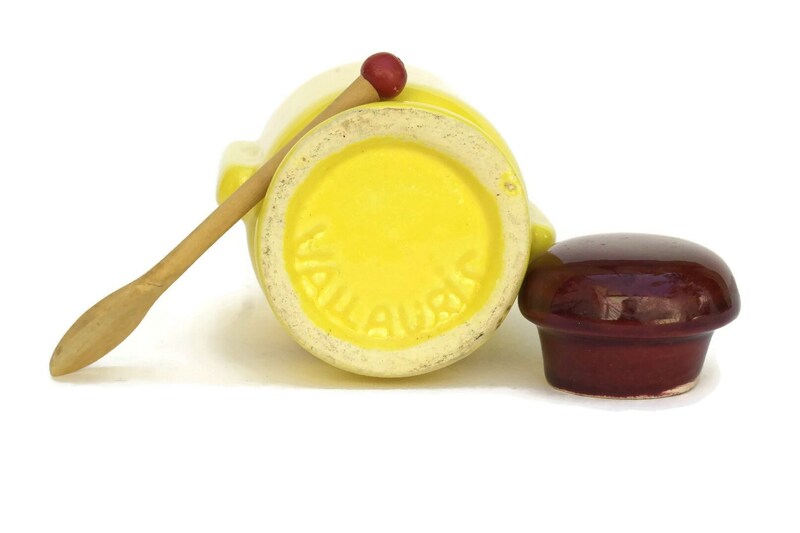 The underside has the Vallauris manufacturer's mark. 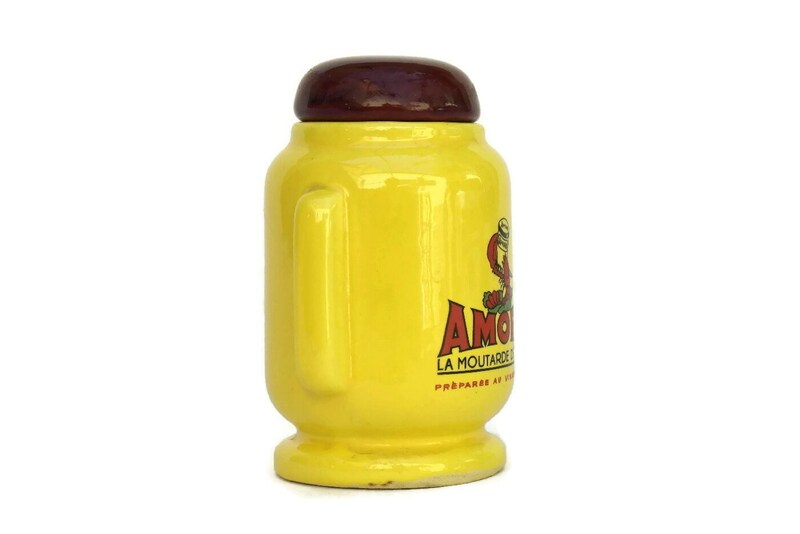 It will make a great addition to your mustard pot collection or to your country kitchen decor. 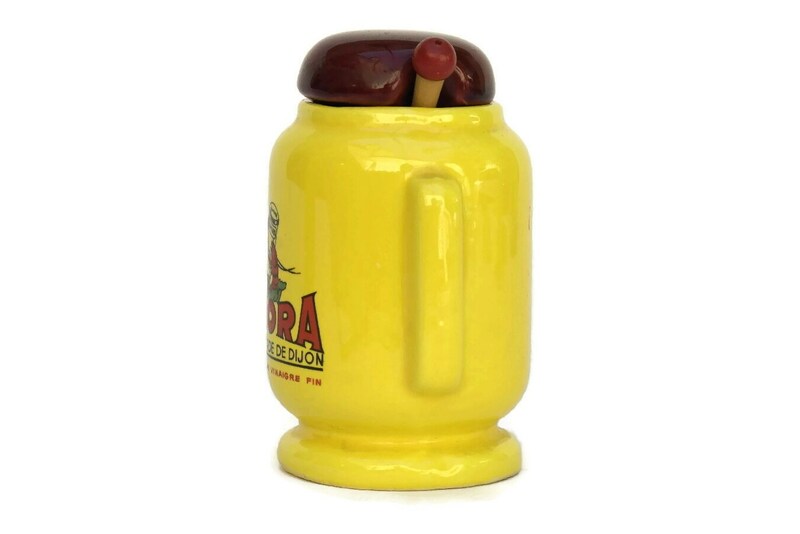 4" Tall x 2" in diameter (10 cm x 5 cm). 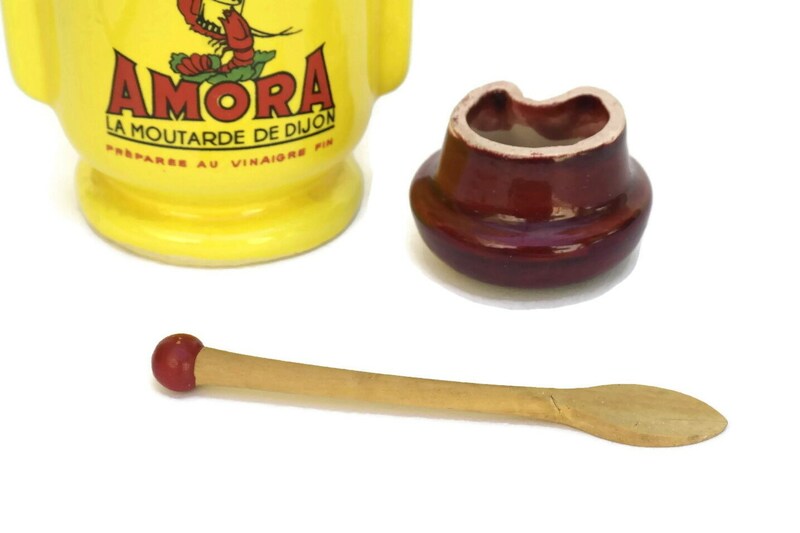 The original wooden spoon is 3 1/2" Long (9 cm). 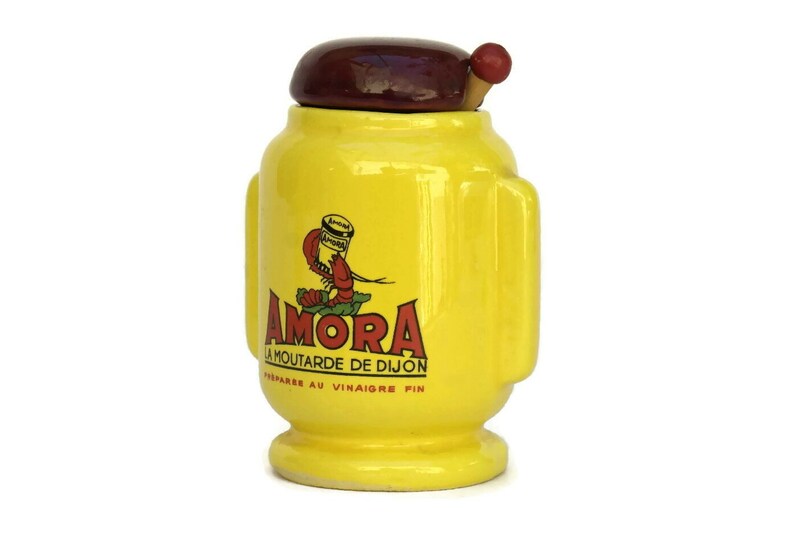 The Amora Mustard Pot is in very good vintage condition with light signs of wear. There are neither chips or cracks.